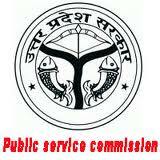 The UPPSC Recruitment 2018 online application form uppscup.nic.in UP PSC Recruitment 2018 Various Vacancies: Uttar Pradesh Public Service Commission (UPPSC). Uppsc recruitment in UPPSC exam online application, exam syllabus, eligibility, vacancy details, admit card, exam date, and results selection process. 2. Log on www.uppsc.up.nic.in to access the home page and select the “Candidate Registration” link. 3. Select the ‘Apply’ link and click on it. 4. Select the ‘Candidate Registration’ link beside the desired post to be applied for. 5. Fill all marked details carefully in Part I of an application form and Submit. 6. Registration Slip will be generated, take print out and select “Generate E-Challan” option. 7. Make payment using payment challan and revisit website and this time select part II of application. 8. Fill all mandatory details including fee payment details, upload your photograph and signature at the places provided. 9. Select Submit Application Form and take print out of application form and retain it for further use.